I'm an Indian writing to you on behalf of a certain section of society that has gotten tired of our government's lack of interest in well... governing. I've heard that you're currently out of a job in Sri Lanka after the whole LTTE hoo hah and the presidential election mumbo jumbo, and have an offer for you. Why don't you get up here to India to tackle a similar situation that's been brewing up in the forests of Jharkhand and a few other neighbouring states? Well, the basic problem is this... some faggoty pussies have been waging war against the entire nation, while other faggoty pussies in our capital are all being diplomatically dickheaded, and refusing to get rid of the aforementioned faggoty pussies. And the reason being argued is the some of the latter mentioned faggoty pussies believe that the initially mentioned faggoty pussies are innocent tribals who've taken up arms because they have no other alternative. All of this rings a bell right? Well, yeah, I can see you nodding your head there. Kinda reminds you of the situation in your own Ravana land Sri Lanka doesn't it? I agree that the tribals have problems, but these guys ain't downtrodden tribals! They're just asses who have a great time blowing up police cars with landmines, and taking on dudes from the CRPF in some weird TNA Impact style handicap matches simply because their neighbourhood multiplex isn't screening Kites! And frankly, do they really think that we'll believe them when they say they don't have money for food, but yet manage to brandish equipment that is superior to the army? Well, in case this is a bit too confusing, I've attached a picture with this mail as well, please do check it out. As a added bonus, we've already provided you a head start: We've given the mission a ubercool name! Now that we've taken care of that difficult bit, you can take care of the easy bit of taking out the bad guys! Okay, I'm convinced that you've made up your mind to come visit the land of the dude who burned down your land many many years ago. So let's talk specifics. Yeah, I know you're kind of in a tight spot with the whole arrest+court martial+Where's a calender when I need one controversies going on, but don't worry, we've already assigned our top lawyers to your case. We'll expedite you from the country, just as soon as we finish erm... working out the kinks (read: Hang Kasab) . Or else we can always hope that Martin Scorsese and/or Woody Allen may come to the rescue. After all you haven't even raped a 13 yr old. All you did was cure a 26 year old gangrene, that certain sections of society wanted to drag along. Oh, and talking of gangrenes, did I mention Arundhati Roy, whoops, slip of pen, I meant have you heard of naxalite sympathizers? Well, they've been really active on Twitter and FB, churning out pages in support of the downtrodden naxalites. I'm just guessing, but maybe Mr. Kishen has threathened to kill them if they don't, because I frankly see no other logical explanation to educated individuals supporting brazen terrorists. Oh wait a minute, The "e" word is the reason.... 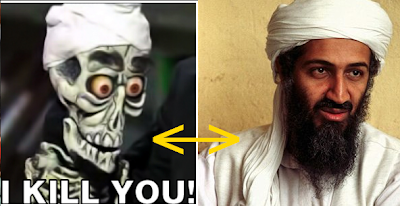 I get it now! If you ever have 3 hours to kill (and I literally mean "kill", since that's what you'll want to do after 2 hours or so), then read this article by the grammatically gifted Ms. Roy, where she makes the most extreme use of "may" s and "maybe" s.
We've read all your military tactics, but have somehow been unable to implement them perhaps since the IPL and the world T20 has kept us kinda busy. Anyway, we're all back on track thanks to the true patriot of the nation, Ravindra Jadeja, who showed us which matters are of higher priority. Infact, we were sending over some Ammonium Nitrate to you for your approval, but it seems it got stolen along the way! I'd have offered you the president post, as an incentive to victory, but I've really grown fond of my own president. She may be a hundred and fifty years old, but she definitely knows how to be awesome! Don't believe me? Check out the attached pic! And guess what? She's been on a jet as well ....and NOT died of cardiac arrest during the flight! What more could I ask for? I'm hoping that you accept my offer and get rid of this problem before we again need to disturb some viking dudes from Norway to mediate talks between us and them! The above post is a work of fiction. Any names other than that of the awesome Mr. Fonseka, Why-isnt-he-dead-yet Kishen, Maybe-coz-this-guy-isnt Kasab, The goddess of small things Ms. Roy, the Viking dudes from Norway, Hollywood's answer to Dev Anand Woody Allen, kickass filmmaker Martin Scorsese, The probably fictional Ravana, conniving bugger Rajapakse and the awesomest guy alive ACP Pradhyuman are purely coincidental. All facts mentioned are true, or atleast the truest to my Googling abilities! :D awesome post .........a bit more of naxal-sympathizer bashing would have been just fine!!! Awesome post. U Rock dude. this is by far your best post ever!! 1)Ms. Mamata BAnnerjee...this bengali b***** finances the maoists to take on their moderate counterparts the commies who rule bengal. she is also known (acc . to NDTV sources ;) .. to block any stern action by govt at cabinet meetings. Dude totally agree that naxals killing our jawans is really really sick!!!!!!!! But arent we gettin blinded by d media propaganda????? V shud remember d reason why naxalites hav an upper hand in those places.....bcoz of local support. Now when will d locals support them?? It is when d Naxals are lookin after their needs and not d government!!!!!!! Mining in those areas is not like d mining in Goa. The ppl there hav to suffer wid dust pollution, clogging of their fields due to mining rejects,lack of water and wat not!!!! And if any of them protest then d police machinary is used to suppress their voice. They dont want expensive cars,huge houses nor internet and broadband facilities. Wat they want is to continue their farming practices in peace. Maybe our govt shud concentrate on providing them these things and stop supporting d mining lobby rather than goin after the naxals. Hoping to hear back from you! 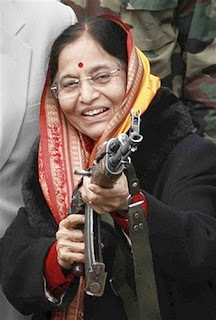 But i still feel if our govt comes out in d open and says to those tribals "Okay see. We r bringing in d development in ur villages THAT U"LL REQUIRE. We will stop mining in ur villages tat has so many disastrous consequences on ur livelihood, and stop supporting the mining lobby tat has gotten away scot free all these years for all d pollution it makes.We are taking back all our troops (save d policemen) and instead bringing in administrators to ensure tat d required development takes place. And we need ur support to do this." I think even d naxals will find it hard to continue their rebellion against d state and will favour d govt once more. If all this is done and inspite of tat d naxals continue wid their violence or if they interfere in d developnental activities then we all kno tat this blog post gives a pretty gud idea of wat to do to them. Wat say? Its a path of least resistance. The tribals who wud hav otherwise been caught in d crossfire will be saved of all d anguish and pain tat comes wid war!!!!!! @keefe ...from landmines to iron ore mines. you dug your way thru from north east to south west. are you a politician or a 'save goa' freak? since when did anyone had any hopes or trust or inclination to pre-support government's falsely forecasted fallacies...umm...policies? Don't just think like the frog in the well. Your state problems maybe high priority to you but not higher than the nation's. CRPF jawans are of national importance and lost lives of such brave men are greater losses than lost crops. You wanna take path of least resistance?! 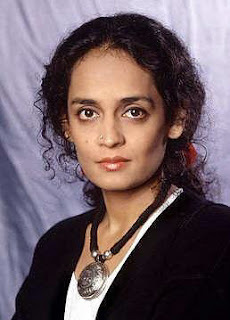 Be assistant to Arundhati Roy. Your suggestions are so ridiculously laughable, it gives Navin's post a good challenge but you get beat on the sensible part...just like most politico speeches aired around. 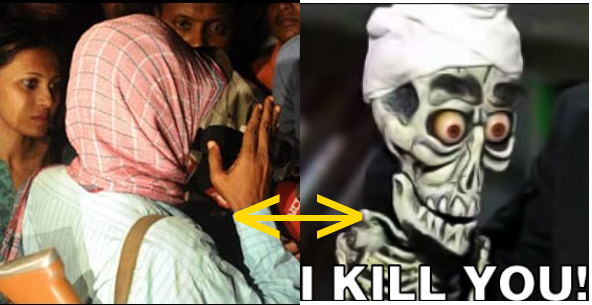 Why should we spare naxals from any pain and anguish. This is not like Pakistan, that has a twisted administration and certain negative sections of society, but like the 'rest' of them are all nice and peaceful. They are a whole breed of brainless assassins that kishen manipulates. Its not hard to be such a mind-controlling leader in the land of the uneducated. Take Kasab for example. they are taught 3+3=8 and told to kill anyone who don't agree. you can try. Wat is their motive??? can that be justified by any measures?? even by arundati roy??? U r confusing d issue mate. 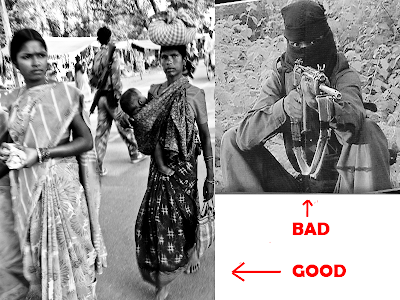 Firstly there is a distinction to be made between NAXALS nd TRIBALS!!!!!!! 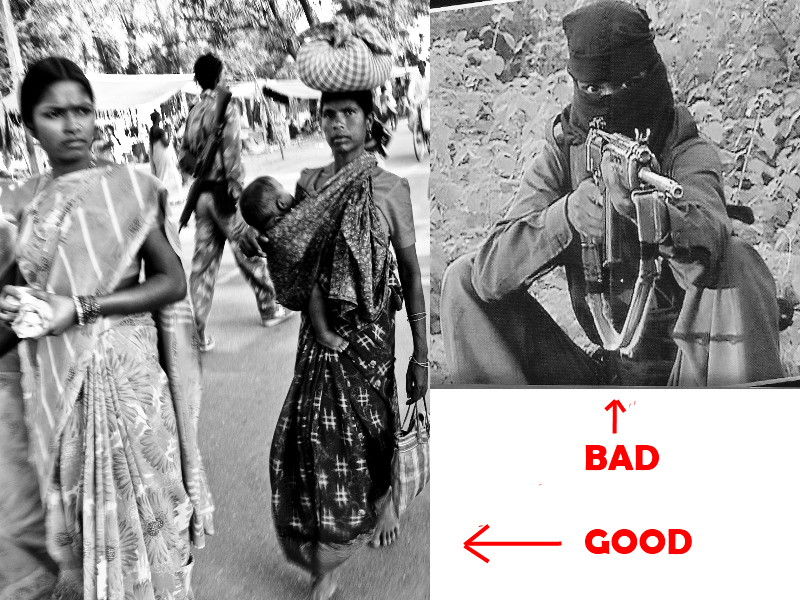 Naxals r d tribals wid d guns!!!!!! Why r they wid guns??? Bcoz the rights of other innocent Tribals r being bulldozed by d govt at d behest of the powerful mining lobby or corporates and they[d naxals] perceive themselves to be the protectors of these innocent tribals. I said tat d innocent tribals shud be spared d anguish and pain coz well they r d innocent ppl!!! Secondly u urself said it tat it is a land of d uneducated. Cant this illiteracy be permanently eradicated by setting up schools etc BY D GOVT???? Wont this in turn make d tribals self sufficient and less dependent on d Naxals??? Isnt tat wat we all want?? Waging war against d naxals will jus harm d innocent tribals who will be caught in d cross fire.And do u expect violence to solve everything??? Do u honestly think d naxals will stand and fight when they will be outnumbered by a hundred to one?? No buddy. They will scatter.... possibly migrate to other states. And this war tat was once played out in a few states will engulf d whole country. Its easy to fall prey to d war hysteria tat d media creates. Another point to be noted is the corporate social responsibility of d mining firms operating in those regions. Have u ever seen a mining area in d west?? Well I hav and i can tell u tat lukin at those places u wont even have an inkling tat those areas are being mined for minerals!!! They almost luk like world heritage sites!!! Whereas in India u will see pollution of d worst kind takin place. We Indians have always settled for something less. And when d poor tribals protest and ask d govt and d corporates wat is due to them...wat does d govt do?? Bulldozes their rights using d police machinary and makes those tribals depend on a vigilante force[d naxals] to njoy d benefits of d fundamental rights entrusted to them by our constitution!!!! Can u then call our govt democratic?? Well in my book its called dictatorship. Its very easy to blame their anti India activities. These ppl r as much Indian as u n me for god sakes!!!! Wat has caused them to hate our country so much?? Wat has made them distrust democracy so much??? Will we ever find out? Is war our only solution? Isnt development for those ppl long overdue? Dont they deserve to be accomadated in mainstream india rather than be felt like strangers in their own land? Shudnt they have a say in matters tat concern them?? Dont they deserve sumtin better than corrupt sarpanches,collectors,bureaucrats, chief ministers etc?? Strangely d word verification tat i hav to enter so tat this comment can be posted is "NOFITE"!!!!! BUilding schools is like renovating toilets in our college....completely useless. Why build schools for someone who'll just blast them! Just Google for maoistschool and U'll end up with tonnes of such articles. Agree that they'll migrate incase of a military attack...that's why stratergy is reqd! 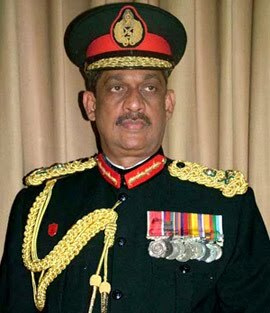 Remember the LTTE attack....they were literally surrounded on all four sides and their entire top leadership taken out! That's what we need! We took the passive path in AP, and what did they do, just migrated to the north...this simply cannot do! And the thing is, where do the human rights guys disappear at the time of peace?It seems like every terrorist has a HR rep, but all civilians and cops have none! Who's stopping them from building schools? I'd say yes for a Arundhati Roy School of Exquisite Grammar in Dantewada! Mining is a problem I agree...even in Goa...but that doesn't mean that the "shetgaonkars" and the "raiturcars" get together and fight the government in some sort of vigilante system! Here's what the problem is: they've realised that they can hold a government to ransom by carrying out these activities! And that's the only reason they're doing it! They crave power...NOT development! We're going far offtopic, from a simple blogpost, so I may well close comments if this continues...just letting U guys know! The Final Chapter of The (Face)Book! I'm Too SEQC For My SoQs!